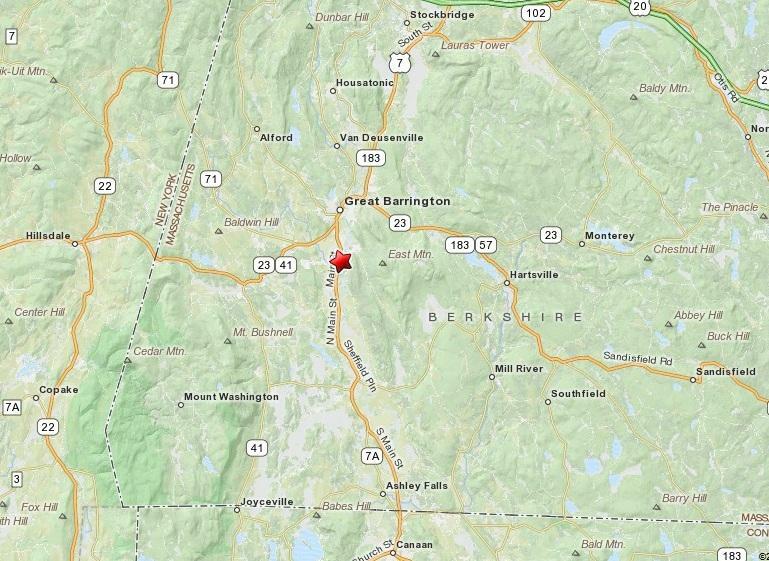 From the North BensDotter's Pet is located on route 7 less than one minute south of the Great Barrington Guido's. The big red building we share with Red Barn Wellness is on the right, across the street from Bogie's Steak House, with the entrance to our parking area directly across the street from the Bistro Box in front of Bogie's. Our store entrance is at the front of the building. Note: If you find yourself crossing the Great Barrington/Sheffield town line, you've gone too far south. From the South BensDotter's Pet is located on route 7 just a minute or two north of the Sheffield/Great Barrington town line. As you travel north on route 7, watch for Treyson Racin' on the right, and put on your left blinker light. The big red building we share with Red Barn Wellness is just down the road on the left, with the entrance to our parking area directly across the street from the Bistro Box in front of Bogie's Steak House. Our store entrance is at the front of the building. Note: If you find yourself passing the Great Barrington Guido's, you've gone too far north.